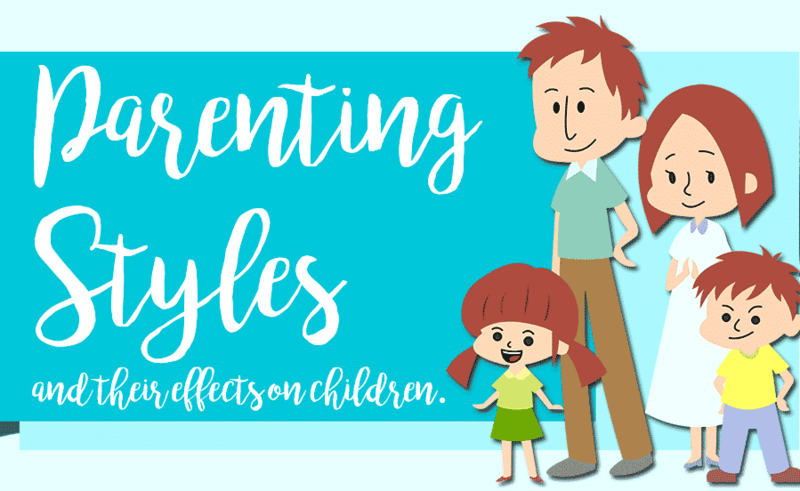 It’s nearly impossible to get kids (and many grown-ups) to realize that there are actually forms of entertainment that don’t show up on their phone, tablet or video game console. There’s an effective way to get that message across, though, and that’s by setting up a family game room. Many of our parents’ game rooms featured “attractions” that have fallen out of favor or barely exist anymore, like mechanical bowling or pinball machines. But there are game room staples which transcend generations and should have a place in every 21st century basement or garage family retreat, and one of them is a dartboard. We’re not talking about your parents’ old-fashioned dartboards, although they’re still very much on the market and still a lot of fun. If you’re trying to compete with Minecraft, Candy Crush clones or the latest PlayStation and Xbox releases, you’re better off going high-tech with an electronic dartboard. Once the lights, sounds and automatic scorekeeping have initially grabbed the players’ attention, they’ll realize that the reason the game of darts has been around for more than 150 years is because it’s so much fun. They may even start playing the original version without bells and whistles at the local pub – if they’re old enough, of course. What’s somewhat ironic is that electronic dartboards actually make the game more enjoyable, unless you consider arguing an integral part of the fun. The board tells you where the dart has landed and no one has to remember the score or even whose turn it is; those who enjoy playing with their favorite beverage in their hand may find that helpful. The electronic dartboards on the market range from inexpensive smaller kids’ versions to professional models. We’ve avoided ranking the lower-level boards because, quite frankly, most are very poorly made with darts that fall apart or don’t stick to the board. You may find that we’ll allude to pro models in some of our reviews of the top 5 best electronic dartboards, but we’ve decided to focus on mid-range boards which are appropriate for the entire family. Check out our Best Electronic Dartboard Buying Guide too! Arachnid is perhaps the premier brand name in dartboards, and was the inventor of the so-called “soft-tip dart” which has taken over the sport in many parts of the world. The soft tips, made of plastic instead of metal, are obviously safer; they’re also one-third the weight of old-style darts, requiring a learning curve for old-school players but ideal for the molded plastic dartboards used in electronic games. There are numerous Arachnid electronic dartboards on the market. We’ve chosen to review the Cricket Pro 650 which isn’t as expensive as the higher-end Bullshooter models, or the more full-featured Pro 670 and Pro 750 which have more game variations and display options. On the other hand, the 650 has more bells and whistles than the cheaper Arachnid Interactive 6000 and non-tournament size Cricket Master 300. The Pro 650 is a good compromise and a great dartboard. This board has almost everything you’d want and compares favorably to the electronic boards used at many bars. 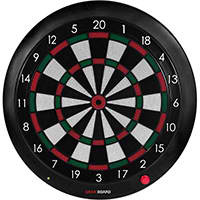 It is a 15.5 inch regulation size-and-color model dartboard featuring five cricket and 19 other games with up to 132 options (yes, if you’re a novice dart player there’s a lot more to the game than just throwing darts and adding scores). The Cricket Pro 650 accommodates up to eight players with a four-player LED score display and four sets of tricolor cricket displays, along with a solo play option (against a computer “opponent”). There is also full control over player handicaps so novices and advanced players can go head-to-head in a competitive game. The construction of the Pro 650 is top-notch. It’s thick and durable, but more importantly it’s built so there are very few bounce-outs during a game, with micro-thin nylon segment dividers grabbing hold to the soft-tip darts firmly. In fact, they grab the darts so well that you may have to twist them as you pull in order to remove them from the board. The only time bounce-outs or scores that don’t register can become a problem is if you’re using light darts (under 16 grams). Among the extra features are bounce-out amend, sleep mode, and a rather-loud audio system which calls out results like “single,” “double,” “triple,” “bullseye,” “miss” and “winner” – and prompts when it’s the next player’s turn. You can turn it off if it gets on your nerves. There are some features which would be nice to have, like battery as well as AC power, X/O displays, and a selectable bullseye, but if you simply have to have those latter options you can always step up to a more expensive Arachnid model. For about $150, this is just about all the electronic dartboard anyone but a dedicated pro could want. Just about any electronic dartboard will be a step down from an Arachnid, but the Viper 797 isn’t too much of a fall – and at less than half the price (about $65) it’s definitely worth considering. The Viper is regulation-size and color with a 15.5 inch nylon target face that isn’t quite as diligent as preventing bounce-out or recording scores as is the Cricket Pro. But it’s close. This board can accommodate 16 players and there are more games (35) and more options (171) than on the Arachnid board (but for some reason the game defaults to Euro instead of American cricket). The scoreboard shows four players’ scores simultaneously and there’s a four-player cricket LCD display along with X/O capability – but it’s half the size of the display on the Arachnid and hard to read from a distance. There is auto-player ranking and single/double bull capability, but there’s no handicapping function for multi-player modes. In other words, there are pros and cons to the Viper 797, but overall it doesn’t provide quite the same experience for more advanced players. 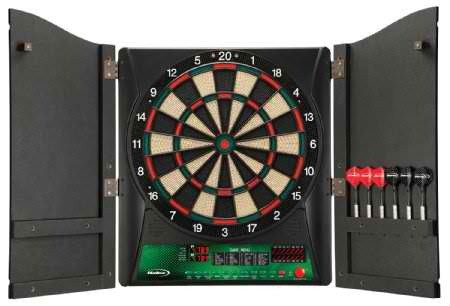 You’ll find that the automated features like scoring and “next player” announce can be a little finicky, you’ll probably have to upgrade the six darts that come along with the board, and like the Cricket Pro 650 this dartboard doesn’t work on battery power. As a fun board with lots of options, however, you won’t find a better choice at the low price point of $65. If your goal is simply a good time and not replicating the tournament experience, the Fat Cat Rigel can do the job for a very reasonable price of $45. The target face is only 13 inches (although it does have a tournament spider) and decorated in red, white and blue (with half of the supplied darts featuring American flights and half with British flights). You won’t feel as if you’re in a serious match when facing this board and you shouldn’t expect to be able to hit triple 20s with ease. For a playroom, though, it will fit right in. Bounce-outs aren’t the problem you’d expect from a bargain-priced electronic dartboard. However, the Fat Cat isn’t as well-made as the first two products on our list of top 5 best electronic dartboards, so don’t be surprised if you start having issues with the display or other automated functions after a while. The Rigel board can handle eight players and shows two scores at any one time, along with an easy-to-read two-player cricket display with X/O capability. Overall, this model features 32 different games with a whopping 305 scoring options. There’s no solo-play option or other advanced features, but it does have auto-announce for doubles, triples and bullseyes – and most importantly, it’s fun to play with good game variety, at a great price for a soft-tip electronic board. First, the good news: this Japanese import is a very well-made tournament-sized electronic dartboard, and it runs on batteries so you’re not tied to an electric outlet in order to play. Now, the bad news: it’s the most expensive in our rankings, at almost $240. Finally the news that we’ll let you characterize on your own: there’s no display on this board – you have to use it in conjunction with a SmartTV or a tablet that controls the game (including board sensitivity), shows the scores and lets you play against others using the app in other locations. The manufacturers call this the “next generation” of electronic boards. Perhaps we’re stuck in the last generation, but we think there’s just a little too much work involved in playing darts with the Gran Board 2. Let’s deal first with the specifics of the board. Right now there are just nine games programmed into this model (including all of the 01 games and standard cricket) but the company says new games will be added regularly and will be available by updating the Gran Board app. There are the options that make any advanced game more realistic like separate bull and master in/out, and there are nine different levels of solo play against the computer. Bounce-outs aren’t a major issue, and this is a solid product. Now, for the elephant in the room. You have to download the app to your device or SmartTV, which is where you control all game functions and see the well-designed scoreboard. That means setting up hooks for your tablet underneath the board, hanging the dartboard next to your TV, or constantly having to look wherever you’ve been able put your phone or tablet down just to see what’s going on in the game. It’s great to have the ability to get regular software updates as the product is improved, but we personally prefer to have the score displayed right on the board. The app works with both iOS and Android, so everyone will be able to use it – if they want to. This is a solid tournament-sized electronic dartboard, but the real reason to buy it is in the title: wood cabinet. There are others that come in cabinets, of course, including several Arachnid models – but not with a $100 price tag. The build on both the board and the cabinet are good (and the cherry-finished cabinet is attractive, for a fake wood item), there aren’t a lot of bounce-outs except along the edges, and the electronics work well. There are 28 games (three crickets) with 167 variations, a two-player LED score display with X/O cricket windows, and unlike the others on our list of the top 5 best electronic dartboards, the Millenia 1.0 has a trash-talking feature (and yes, it can be turned off). This model is powered by an AC adapter. The features on the Regent-Halex aren’t overwhelming, but they’re more than adequate for those looking to spend less than they’d pay for an Arachnid. And you can simply close the cabinet if you don’t want your visiting highbrow friends to know that you love playing darts.